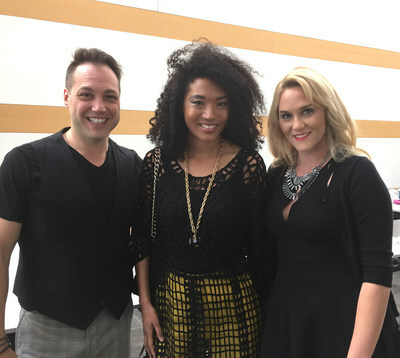 LOS ANGELES, March 21, 2018 /PRNewswire-USNewswire/ -- On March 14-15, 2018, Education Through Music-Los Angeles hosted its 8th Annual Music Unites the World Festival at the Skirball Cultural Center as part of Music In Our Schools Month (National Association for Music Education). 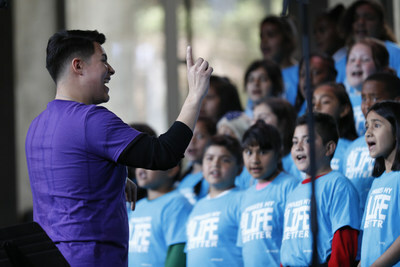 Nearly 1,000 people were in attendance, including over 500 students from 23 of ETM-LA's partner schools across Los Angeles County – South Central, Compton, Boyle Heights, Chinatown, East LA, North Hollywood, Pacoima, Canoga Park, Pasadena, Burbank, Sun Valley, Sylmar, and other communities – to perform songs from around the world. The two-day festival showcased the achievement of Los Angeles youth, along with the transformative power that music displays in unifying people of all ages from diverse backgrounds, ethnicities, and geographies. Many children performed together for the first time, bridging communities, schools and school districts. 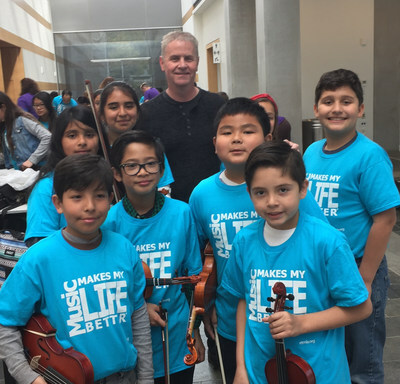 Rio Vista Elementary 5th Grader Michael who participated said, "I think that music makes the world a better place because it inspires people to make a difference and think creatively." In preparation for their culminating performances each day, students received the unique experience of working with renowned guest artists and coaches. 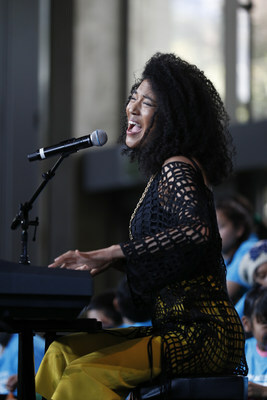 This year's guest artists were comprised of high-profile musicians and music educators including Judith Hill (Singer-Songwriter, The Voice, Michael Jackson), NOMAD & Lola (Babyface), Kristine Mirelle (Singer/Songwriter, The X Factor- USA), Andie Sandóval (Mitré), Edie Lehmann Boddicker (Vocal Conductor/Contractor), Misha Shtangrud (Choir Conductor, Colburn School), Vince Womack (Grammy-Nominated Musician; Music Director, Foshay Learning Academy), Richard Medrano (Director, City of Angels Choirs), and Linda Mouradian (Music Faculty, California State University, Northridge). Major figures from the music industry served as inspiring keynote speakers - Blake Neely (Composer, Flash, Arrow), Randy Spendlove (President of Worldwide Music & Publishing, Paramount Pictures), John Dennis (Executive Creative Director, Walt Disney Imagineering), Booker White (Supervisor of Music Prep. and Director of Music Library, Walt Disney Pictures & Television), Cadavid & Martin (Producers/Composers), and David Dann and Peter Torres from Mind of a Genius (Zhu, Gallant). Dennis, Mouradian, Neely, Spendlove, and White are also involved on ETM-LA's board. "We are grateful to everyone who helped to make our 2018 festival a success, and to our champions who continue to support music education in Los Angeles schools so all children may have an equal chance at a brighter future," said Executive Director Victoria Lanier. View Photo Gallery here. Major sponsors for the 8th Annual Music Unites the World Festival included PepsiCo, Frito-Lay, Nextdoor Neighbor, Donut Friend, Kidspace Children's Museum and Discovery Cube.